Best Chinese Knives: CIMA 1 Survival Knife Review - Sheath Happens! 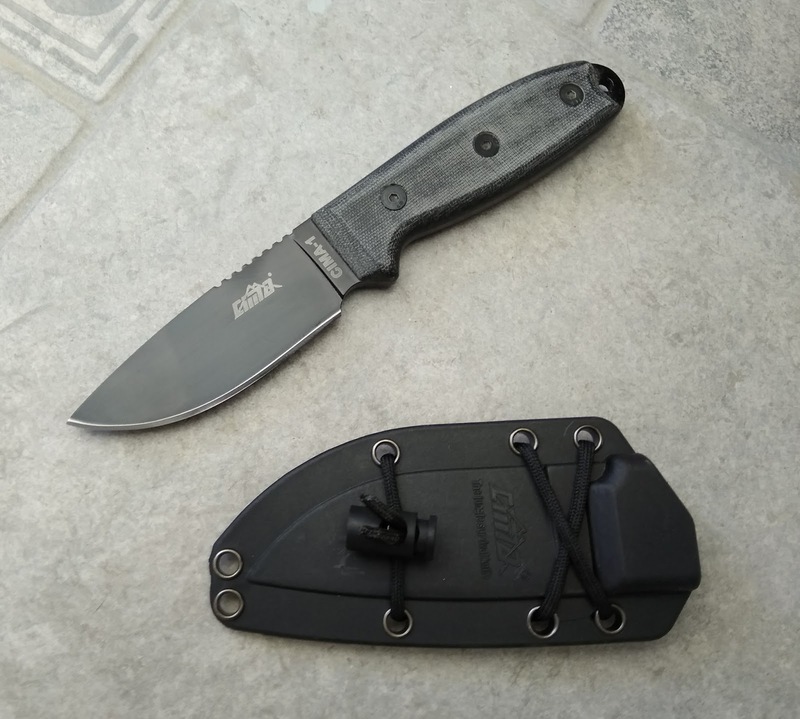 CIMA 1 Survival Knife Review - Sheath Happens! This time it's the turn of one of the most popular budget knives out there - the CIMA 1. The knife arrived in a CIMA branded cardboard box. Out of the box it was reasonably sharp, but had a few issued with the sheath - it had some scratches on it (even a small crack) and had pretty bad retention. Plus I really hated the clip CIMA 1 came with (springy steel clip) - it made the knife heavy and uncomfortable. 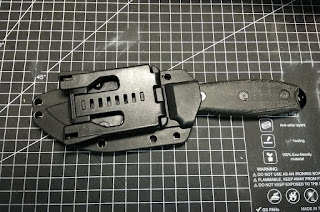 So I took it off and put a tek lok on it (the key was to use the long screws of the original clip). Plus I glued a piece of rubber inside to fix the retention. The knife felt much better after that. - Blade length: 3.85"/9.8 cm. 1. 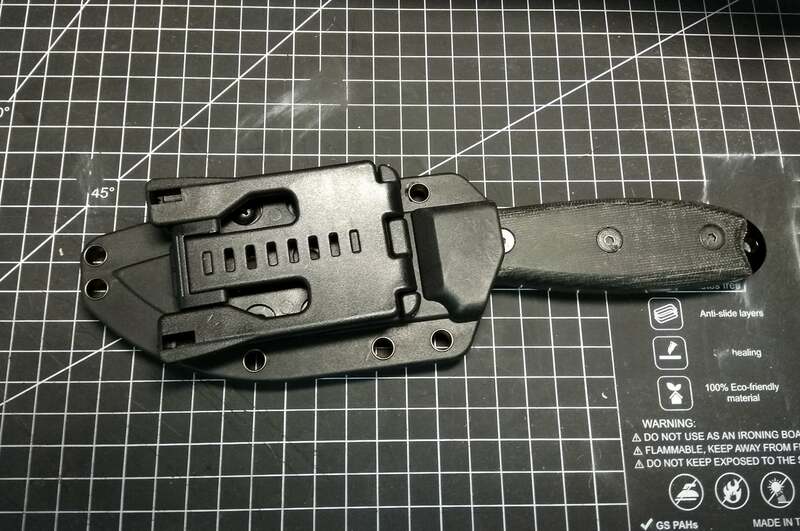 The condition of the sheath and the clip it came with. 2. Pretty thick grind and uneven sharpening. 4. The CIMA 1 is relatively heavy for the size and the balance is off. 5. The design was borrowed from ESEE/ONTARIO RAT series. 1. Genuine Micarta handle - best quality and a reason to buy this knife. Micarta handle is pleasant to touch and provides great grip (even when the hand is wet). 2. The looks - are great IMO (kudos to ESEE).3. Awesome ergos, including the gimping and the finger choil. 4. The blade coating is quite durable (not cheap paint). 5. Full tang construction with a skull crusher/window breaker at the end. I admit I expected more from this knife. Maybe I just got a lemon. But still - I think the CIMA 1 is worth the price (after the improvements to the sheath) as it will perform and you wouldn't feel sorry for it. Plus that micarta handle is awesome.